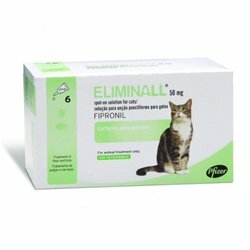 Eliminall Spot On for cats is used for the treatment and prevention of flea (Ctenocephalides spp.) and tick (Dermacentor reticulatus, Ixodes ricinus) infestations. The topical starts killing fleas within 24 hours and ticks and chewing lice within 48 hours. It ensures 100% protection against fleas and ticks when applied at an interval of 4 weeks. The easy to apply spot-on is also used as a part of a treatment strategy for flea allergy dermatitis. 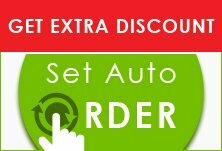 Eliminall spot-on has no potential side effects and is safe to apply on cats and kittens 2 months old and above. Eliminall is a spot-On solution for cats for the treatment of flea and tick infestations in felines. Developed with clinically proven ingredient fipronil, Eliminall works effectively against fleas and ticks without any negative reactions on animals. Belonging to the group of phenylpyrazoles, fipronil is a potent insecticide and acaricide. It provides protection against fleas and ticks for up to 4 weeks. The monthly treatment helps in controlling future infestations.